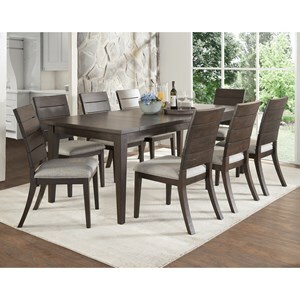 This seven-piece dining set is ideal for a modern-farmhouse styled home or apartment. 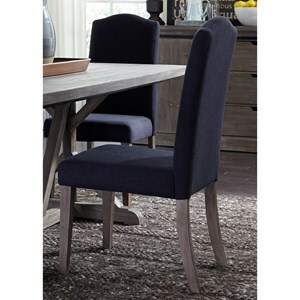 The side parson's chairs add a contemporary style to the overall look, while the wire-brushed, weathered gray finish of the trestle table gives the set a more rustic appearance. 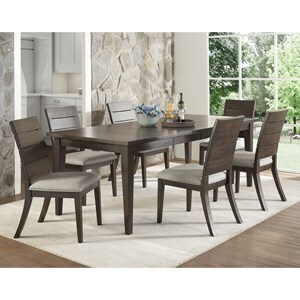 Whether you're looking for a formal or casual dining experience, this versatile set can easily be both. 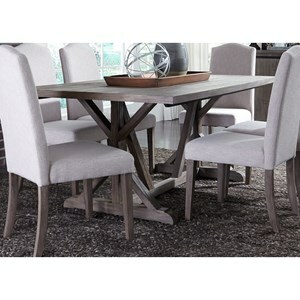 The Carolina Lakes 7 Piece Trestle Table Set with Tan Parson's Chairs by Liberty Furniture at VanDrie Home Furnishings in the Cadillac, Traverse City, Big Rapids, Houghton Lake and Northern Michigan area. Product availability may vary. Contact us for the most current availability on this product. 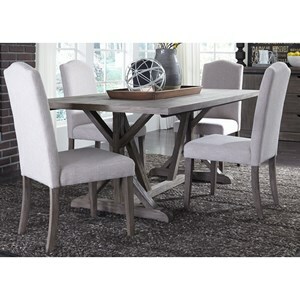 The Carolina Lakes Dining collection is a must-have for anyone searching for a modest, yet tasteful dining set to add to their home. 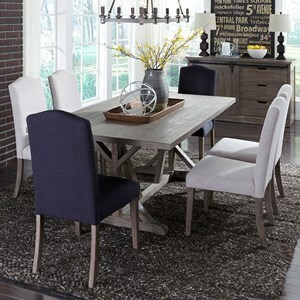 Complete with a weathered gray trestle table and Parson's chairs available in three colors, this collection is a modern-farmhouse lover's dream. The Carolina Lakes collection is a great option if you are looking for Rustic furniture in the Cadillac, Traverse City, Big Rapids, Houghton Lake and Northern Michigan area. 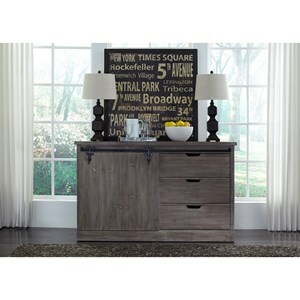 Browse other items in the Carolina Lakes collection from VanDrie Home Furnishings in the Cadillac, Traverse City, Big Rapids, Houghton Lake and Northern Michigan area.